Lighted mirrors for aircraft by JBRND look like regular mirrors when turned off. 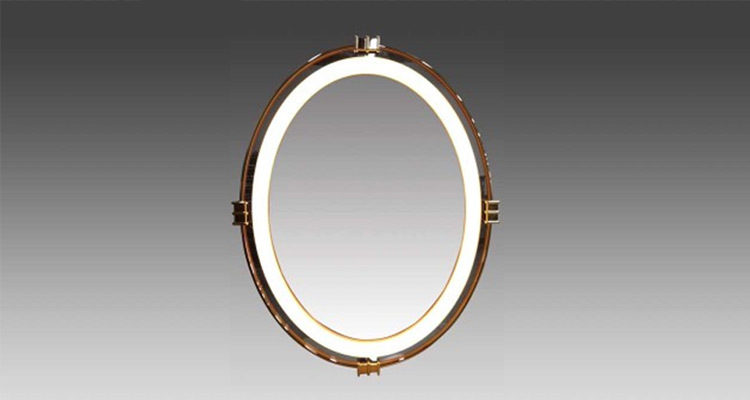 When on, parts of the mirror are illuminated in custom patterns or a TV screen. This saves space, and provides a unique luxury lighting or display option in the aircraft. 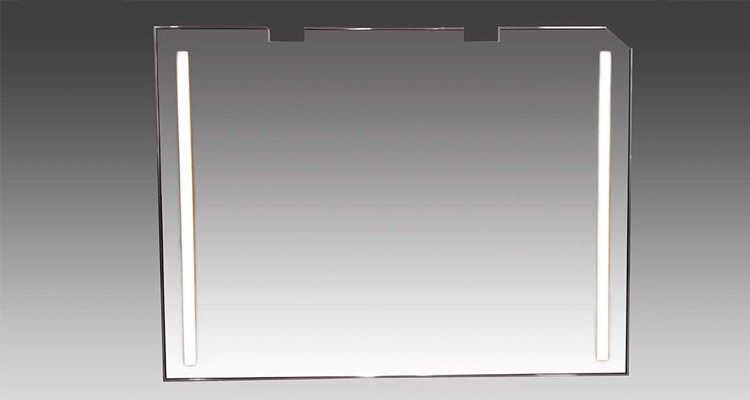 JBRND’s Lighted mirrors for aircraft are custom built to exact design specifications. We build and assemble these mirrors as lightweight as possible. Lighted areas can be completely invisible when turned off. (Optionally visible when off.) White and RGB+White LED color options are available. Smooth dimming options, and a capacitative touch switch option are also available. 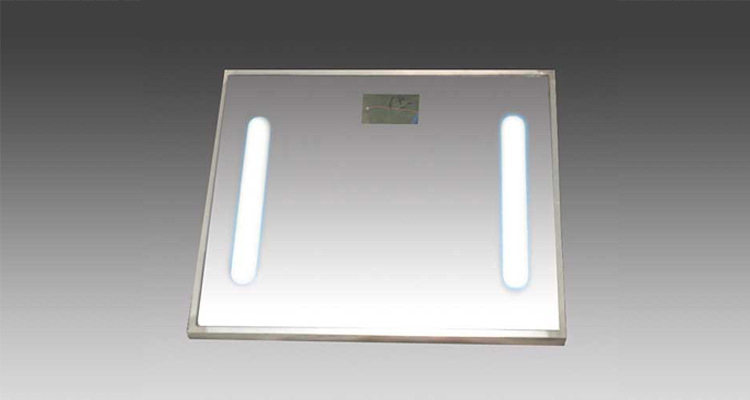 These lighted mirrors for aircraft also come with a motion activated (IR sensor) switch option. Voltage Options: 28VDC or 110VAC 400Hz – 800Hz, DO-160 Certified Lights.